Enjoying last night's Sigur Ros concert with the Los Angeles Philharmonic at The Walt Disney Concert Hall. Watch the whole performance for free on their official website or on YouTube. I feel like I'm becoming less and less capable of going more than a few days without a cheesy pop binge, even if only for an hour or so. This album is trash pop brilliance btw. Diggin' up the Doctor for some swampy bayou hoodoo voodoo. I still don't know what I think of Dr. John, but I know I like him. When I first saw Goofle's pick for the album club, I thought (for a second) that he was picking that album by Dr. John. Great album by one of my favorite New Orleans musicians. 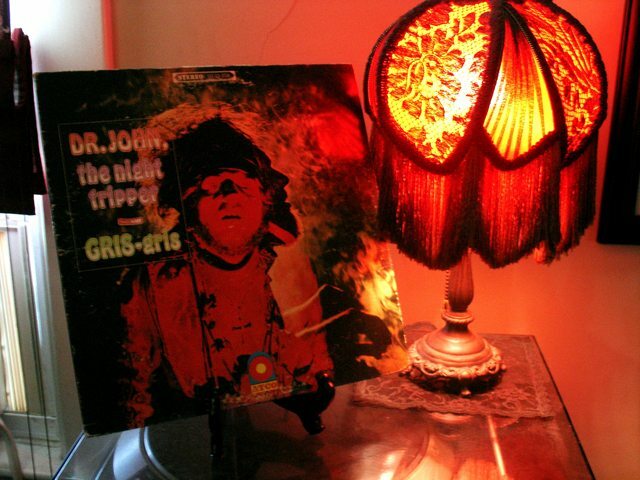 Whenever I see "Gris Gris" in the album club I always think for just a moment that it's that album. One of the best one hit wonders ever?